It is only natural that with rising income in emerging markets healthcare spends also increase. But does this increased expenditure necessarily translate into better care and higher productivity? And do hospitals actually make more money? While the jury is still out on these questions, the cost of care does definitely increase even as policymakers pressurise private healthcare providers to contain prices. 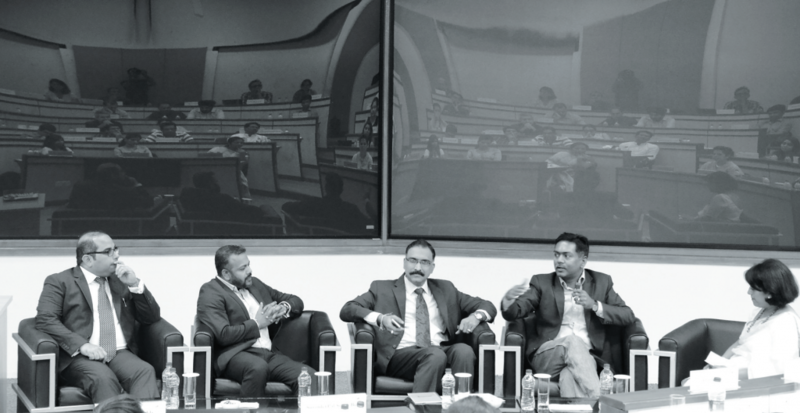 The multiplicity and the complex nature of healthcare in countries like India where there are several parallel tracks catering to various segments of the market, make the management and economics of the sector much more challenging. These challenges in their turn call for disruptive innovations that can provide better care not only at a lower cost but also leverage technology and other platforms faster. One might be tempted to predicate this on availability of more funds for the sector, particularly among the private corporate care providers. However, this is the least of the issues if one is to go by what the industry maintains. Getting funds or access to capital is the least of the worries for a CEO of a hospital these days. If the business model of a start-up is interesting, if an organisation’s financial track record is reasonable or if the numbers are in line with investor expectation then access to capital is not a problem. The real challenge is to fi nd the right people. For instance, the CARE Hospitals Group, which has 18 hospitals mostly in tier two towns and cities, had no difficulty in getting funded for its latest hospital in Hyderabad. Rather, the biggest challenge was to find the right people to run it. In fact the problem is so acute that people who would not have been recruited ten years back, are finding their way into the sector. The yardstick of selection is getting lower year-after-year. Convenience is the first consideration when a new service is introduced – convenience of travel, for example when a patient and his family have to travel to another city for treatment. The second factor is affordability. Can the service be offered at 60% less cost compared to other places offering the same service? Third is the outcome. Once a few hundred surgeries are done and a 99.8% success rate is achieved it does not have to be about pricing any more. Are you able to get the same outcome of international standard in your own city? For any innovation to be successful, the acceptance and commitment of the management and of the clinician is necessary as healthcare has a significant clinical intensity across the value chain. Examples of failures of innovative projects abound in the absence of management commitment and clinician commitment. For instance, when the Manipal Hospital rolled out its telemedicine project back in 2004, it was quite innovative for the time. However, the doctors using the technology were not too enthusiastic about providing consultation through telemedicine because they could attend to several more patients in the same duration. The project did not take off and served as a good proof that commitment of doctors and technicians for the success of a programme was very critical. Another example is that of a heart transplant programme, in another hospital, that died its own slow death because the management was not committed, even though there were clinicians who were very passionate to drive the programme. Doctors were just not confident they had management support. There is no standardised model to guarantee an outcome. What may work at one place need not necessarily be successful elsewhere. When the Apollo Hospital kicked off in Chennai with 150-bed super specialty facility, non-believers were aplenty, with some even dubbing it a good hotel prospect. However, within a few years sceptics were proven wrong and the facility set the new age corporate healthcare model rolling in India with many others following in Dr Prathap C Reddy’s footsteps. Interestingly however, it was a different story when it came to replicating the same model in Hyderabad. The Apollo Hospital in Hyderabad which was started in 1988, did not pick up the way the Chennai operation did in 1983. It took more than six years to stabilise as people did not accept it. The 1988 Apollo story in Hyderabad had to be re-looked into, problems had to be fixed and it was only then that the project was taken to the next level. If the business model of a start-up is interesting, if an organisation’s financial track record is reasonable or if the numbers are in line with investor expectation then access to capital is not a problem. The real challenge is to find the right people. There are many innovations in the market that do not necessary lend themselves for implementation simply because they may not be necessary. CARE Hospitals is probably the only healthcare provider that is majority-owned by a PE fi rm, which are generally sector agnostic. They have a 5-8 year horizon for returns and as long as they are assured of this they could happily invest in any sector be it healthcare or petrochemicals. Therefore, CEO decisions at a PE funded healthcare provider could be largely fi nance decisions, whether to set up a telemedicine centre or anything else. ROI is clearly in the back of the mind. Currently CARE is debating about starting DBS (Deep Brain Stimulation) programme, to treat Parkinsonism. However, the viability of a DBS programme is in question. Take another example of the economics of cancer programmes in the country. The major cost of setting up a cancer programme is DBS accelerator and radiation therapy equipment. There are players who are investing in Xbeam and TrueBeam and other kinds of high end products, which are about three times the cost of a standard equipment one would otherwise invest in. About 95% of the patients who routinely come for treatment can be handled with standardised equipment. Infusion of new technology would raise the price of treatment for everybody. Very often hospital managers and CEOs tend to get carried away with new technology in the name of innovation. But technology for the sake of innovation may not make business sense. There’s a difference in running an enterprise and running a research lab. The cost of new technology, at a time when operating costs are adding pressure on margins, could be prohibitive. For any innovation to be successful, the acceptance and commitment of the management and of the clinician is necessary as healthcare has a significant clinical intensity across the value chain. Healthcare by its very nature entails meeting societal needs particularly of those at the bottom of the pyramid. In countries like India the way this section is catered to, has evolved over time. For instance, when Apollo Hospitals started its journey the government insisted on free treatment for 5% to 10% of its patients who were to be from economically weaker sections. With the introduction of schemes like Arogyasri and Arogya Bhadratha, and the advent of health insurance, all patients are on a par. There is still a section of patients, however, who would like to enjoy the frills and luxury while they are being treated. At the same time there is a section that is more concerned with the outcomes. Both these groups are not so much price sensitive. And then technology has made healthcare more accessible to most sections of the society and in the remotest parts of the country. The example of Aragonda village in AP is interesting in this context where the entire village has been insured by Apollo and a majority of the people in the village have benefitted from telemedicine. As a result of this combination of technology and insurance, huge opportunities have opened up for the corporate healthcare sector in tier two and tier three markets. This is where the action is.